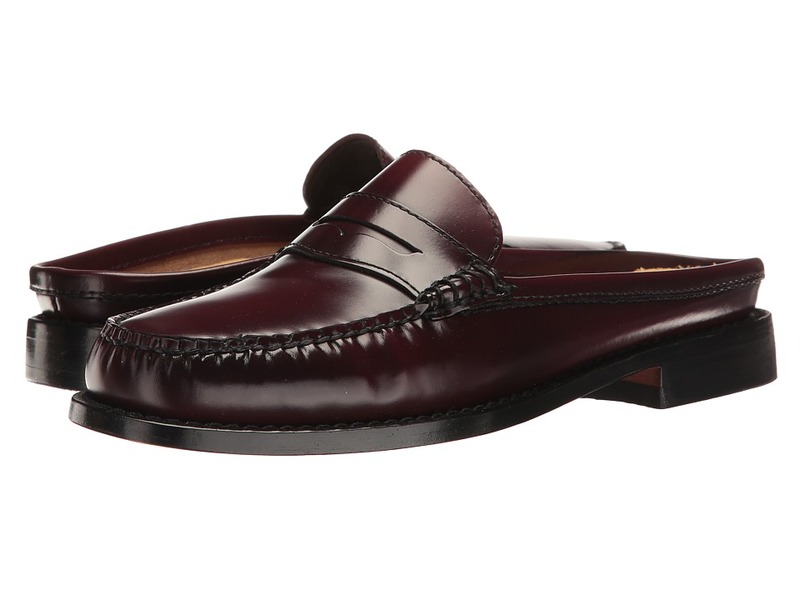 The Layton Kiltie Tassel is part of the G. H. Bass Weejuns Collection: offering quintessential luxury loafers featuring hand-sewn details, premium leathers, and classic moc toes. Enjoy the classic and stylish appeal the Layton Kiltie Tassel has to offer! Genuine leather uppers featuring a timeless tasseled kiltie with moc toe stitching. Easy slip-on style loafer. Unlined uppers offers a comfortable and breathable raw leather wear. Leather-lined cushioned footbed features an arch cookie for added support and comfort and perforations for added breathability. Stacked leather heel with a rubber pad for added traction. Smooth, buffed leather outsole. Imported. Measurements: Weight: 13 oz Product measurements were taken using size 8, width D - Medium. Please note that measurements may vary by size. Weight of footwear is based on single item, not the pair. 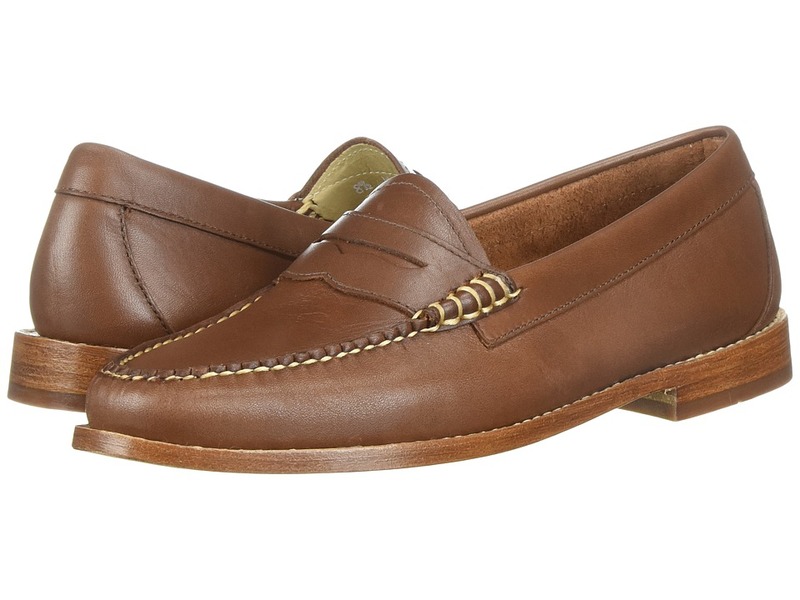 The Logan is part of the G. H. Bass Weejuns Collection: offering quintessential luxury loafers featuring hand-sewn details, premium leathers, and classic moc toes. Let the Logan penny loafer carry you through a long day at the office to your dinner date in complete comfort and confidence. Genuine leather uppers featuring a timeless penny detail with moc toe stitching. Easy slip-on style loafer. Unlined uppers offers a comfortable and breathable raw leather wear. Leather-lined cushioned footbed features an arch cookie for added support and comfort and perforations for added breathability. Stacked leather heel with a rubber pad for added traction. Smooth, buffed leather outsole. Imported. Measurements: Heel Height: 1 in Weight: 13 oz Product measurements were taken using size 9, width EE - Wide. Please note that measurements may vary by size. Weight of footwear is based on single item, not the pair. 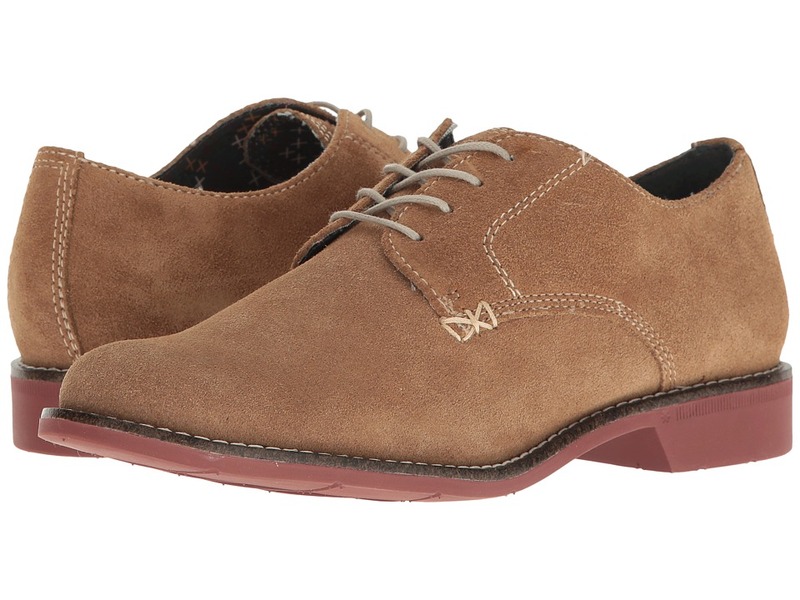 Keep your good looks alive with the Denice lace-up by G.H. Bass Co.. Supple suede upper with contrast stitching. Lace-up closure. Leather sock lining. Padded footbed. Lightweight EVA outsole. Imported. Measurements: Weight: 11 oz Product measurements were taken using size 8, width M. Please note that measurements may vary by size. Weight of footwear is based on a single item, not a pair. Win them over with your classic good looks in the Dora by G.H. Bass Co.. Comes in a combination of uppers depending on the color you select. Lace-up closure. Leather sock lining. Cushioned footbed. Lightweight EVA outsole. Imported. Measurements: Heel Height: 1 in Weight: 10 oz Product measurements were taken using size 7.5, width M. Please note that measurements may vary by size. Weight of footwear is based on a single item, not a pair. You don~t want this sophisticated wardrobe staple missing from your collection! 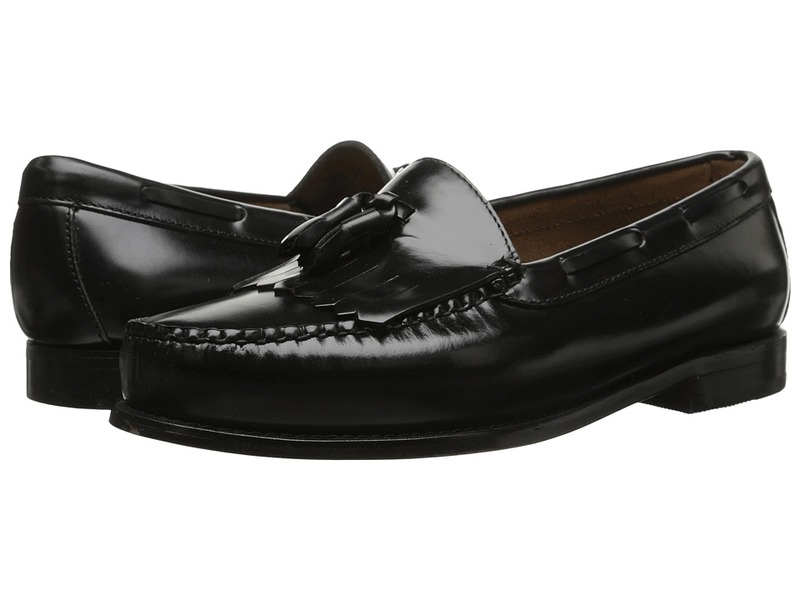 Genuine leather upper in a classic penny loafer silhouette with moc stitching. Easy slip-on style. Leather sock lining. Cushioned insole. Durable leather outsole. Imported. Measurements: Heel Height: 3 4 in Weight: 9.6 oz Product measurements were taken using size 6.5, width M. Please note that measurements may vary by size. Weight of footwear is based on a single item, not a pair. Dress up your casual look with the Wynn slide. 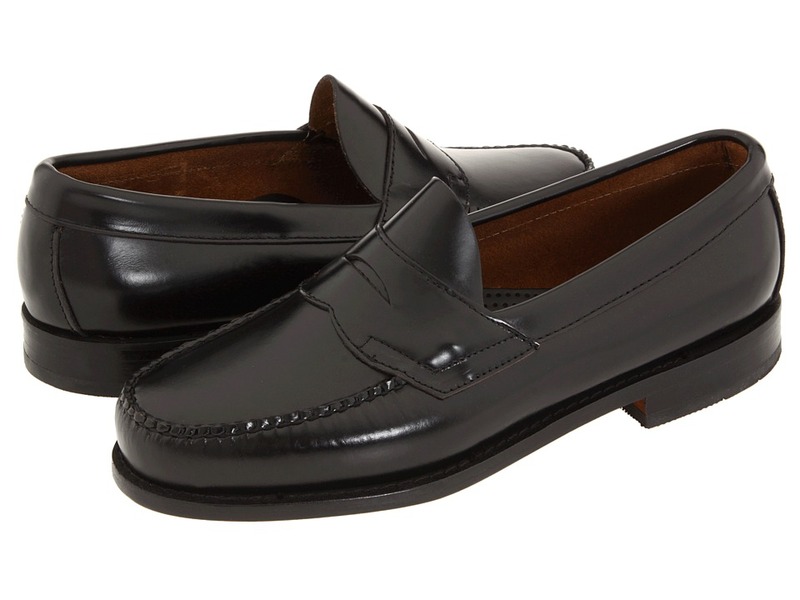 Premium leather upper in a classic penny loafer silhouette with moc stitching. Easy slide-on style. Leather sock lining. Cushioned insole. Durable leather outsole with a rubber heel pad. Imported. Measurements: Heel Height: 3 4 in Weight: 9 oz Product measurements were taken using size 8, width M. Please note that measurements may vary by size. Weight of footwear is based on a single item, not a pair. 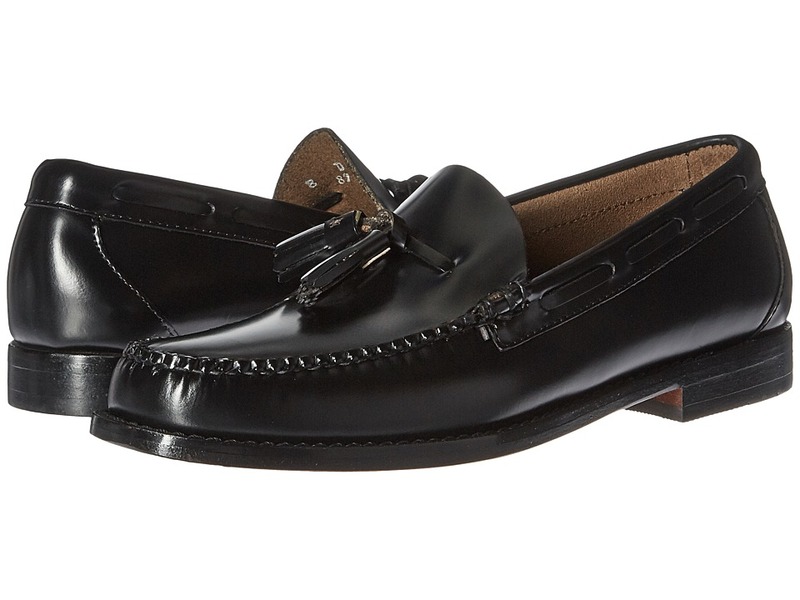 Get relaxed sophistication with the dapper Lexington loafer. Handsewn genuine leather uppers with moc toe stitching. 360&amp#176 laced with tassels at toe. Smooth and breathable leather linings. Leather-lined footbed with light padding and added arch support. Stacked leather heel. Smooth leather outsole with rubber pad at heel. Imported. Measurements: Heel Height: 3 4 in Weight: 11 oz Product measurements were taken using size 8, width D - Medium. Please note that measurements may vary by size. Weight of footwear is based on a single item, not a pair. 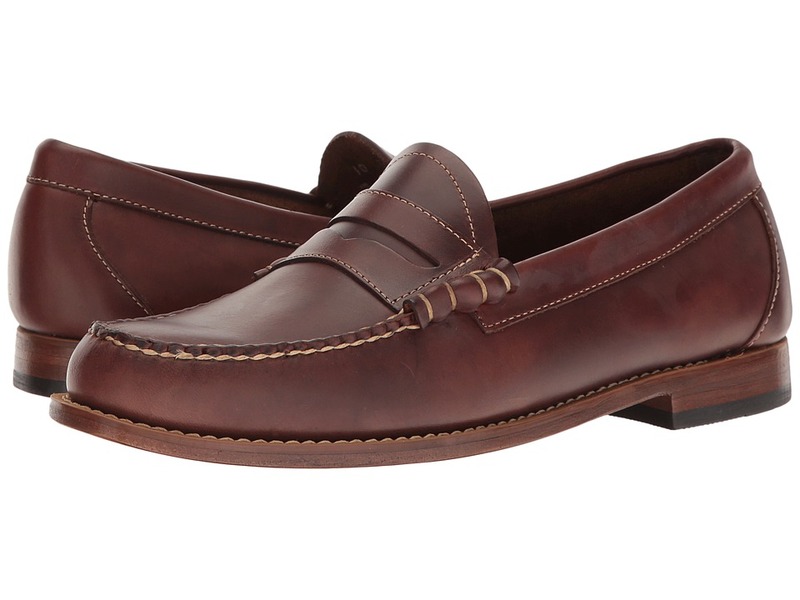 The Larson loafer lends a hand for lasting style and comfort. Premium leather uppers with classic moc-toe stitching. Easy slip-on style. Raw unlined interior. 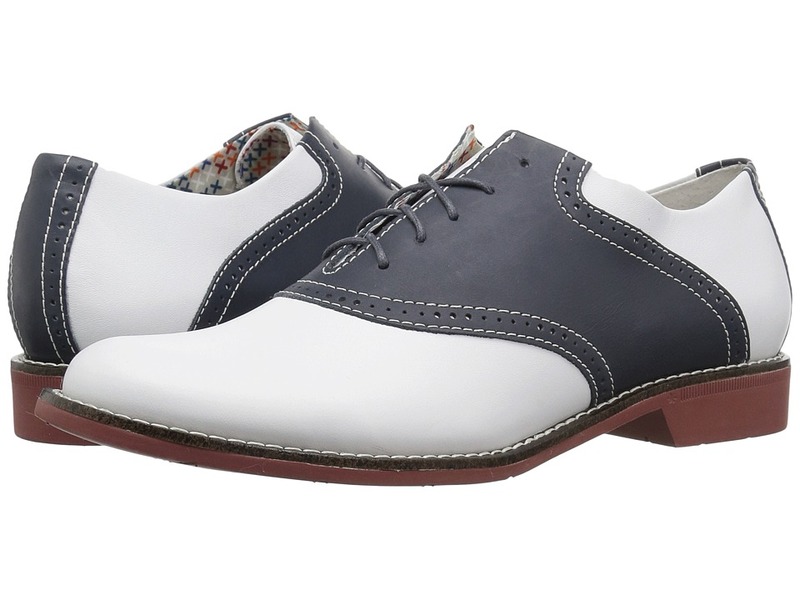 Leather-lined, cushioned footbed for all-day comfort. Smooth leather outsole with a rubber heel. Imported. Measurements: Weight: 14 oz Product measurements were taken using size 10, width D - Medium. Please note that measurements may vary by size. Weight of footwear is based on a single item, not a pair. 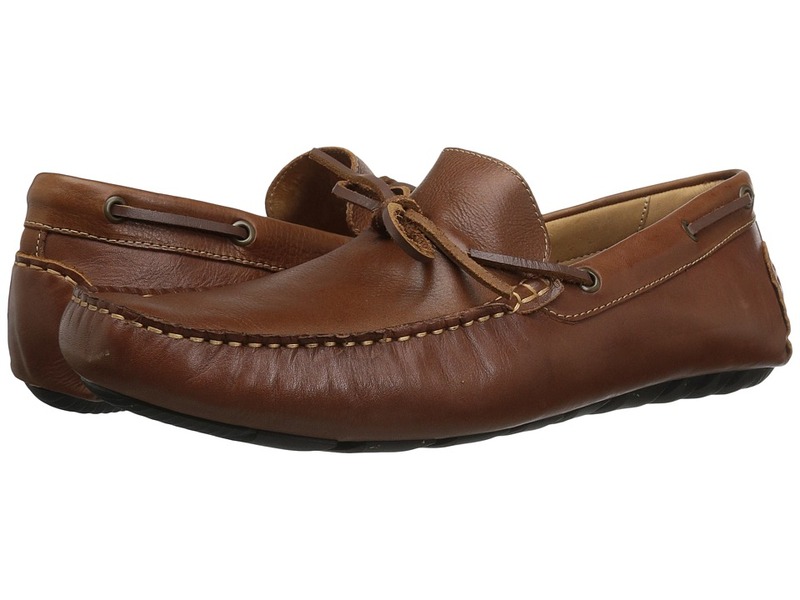 A truly versatile moccasin style you~ll wear anywhere. The Wyatt driver has soft, premium leather uppers. 360&amp#176 leather lacing. Lined in leather. Cushioned footbed. Durable EVA outsole. Imported. Measurements: Weight: 10 oz Product measurements were taken using size 9, width D - Medium. Please note that measurements may vary by size. Weight of footwear is based on a single item, not a pair.